Seven London cab drivers are going on a fat to fit mission to lose 40 stone between them and then climb Mount Kilimanjaro. The number of young people aged 16 to 24 becoming homeless in London has doubled in the last three years. Depaul UK needs to double the number of hosting households by 2015. The charity is calling on households across the UK who have a spare room to consider making it available to a young homeless person. More than 1,000 cyclists converged on London today for Help for Heroes, after completing charity rides around the world. The cyclists met at the Cenotaph where they formed a human medal to pay their respects. The charity is on track to raise £1 million to support wounded soldiers and their families. Stars of the London stage will come together this afternoon for carol singing and festive merry-making in support of this year's Lord Mayor of Westminster's charity, the Sir Simon Milton Foundation. The carol singing will be led by the West End Gospel Choir, a collective of musical theatre singers who will perform a selection of festive songs. There will be a live performance from the cast of hit musical Let It Be as well as special appearances from family shows The Snowman and Dinosaur Zoo. The show kicks off in Leicester Square at 4pm. A year after it started, homeless initiative StreetLink says it has had a bigger success in London than anywhere else in the UK. The charity relies on members of the public to flag up rough sleepers in their area using their phone or the web, so they can be linked up with support services. Out of the 4,000 people the charity has been able to help, a massive three quarters were in the capital. StreetLink says it has had 8,275 alerts from Londoners over the past twelve months. Hundreds of charity runners dressed as sumo wrestlers descended on Battersea Park today to raise money for Link Community Development. Runners in the capital completed the entire five kilometre course in blow-up sumo suits. The money raised will go towards improving the quality of education for children in sub-Saharan Africa. 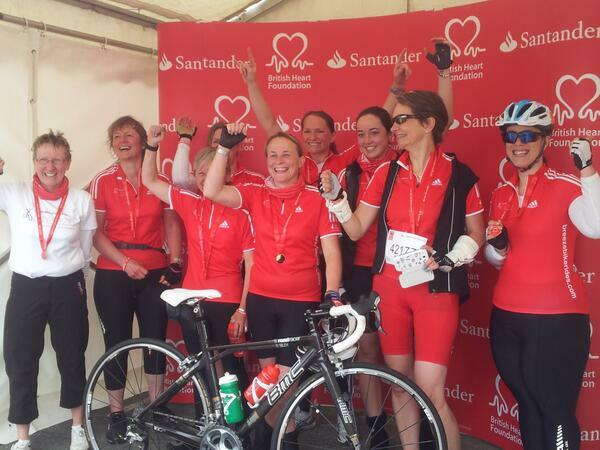 The British Heart Foundation has thanked committed cyclists who turned out in force for the ride today. Nancy Prior, head of events at the BHF, said: "The London to Brighton Bike Ride is a flagship fundraising event for the BHF. "I'd like to say a massive thank you to all the cyclists and their sponsors for their support. Every penny you raise helps us fund pioneering research that supports heart patients and their families in their fight for every heartbeat. She added, "We would also like to thank everyone who came to help at both the start in Clapham and the finish in Brighton. Our cyclists rely on the hundreds of volunteers who give their time to make the bike ride possible."